"No one puts together custom high-end gaming laptops... better than Origin,"
ORIGIN PC has been named an International CES Innovations 2013 Design and Engineering Awards Honoree for our lightweight, custom high-performance EON11-S laptop featuring the Lucid Virtu MVP Mobile Software. All of the products entered in this prestigious program are judged by a preeminent panel of independent industrial designers, engineers and members of the media to honor outstanding design and engineering in cutting edge consumer electronics products across 29 product categories. "Small laptops can pack serious gaming muscle. Cram an NVIDIA GeForce GT 650M graphics card and an Intel i7 processor into ORIGIN's customizable EON11-S, then fire up Warcraft and forget about going outside for a while." 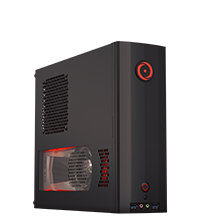 "The ORIGIN Genesis is the fastest and most impressive PC we have tested at PC Perspective and we have seen our fair share of systems in our labs." 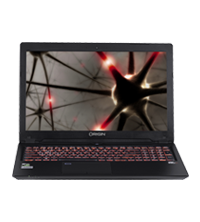 "Overall, the EON 17-S is one of the best gaming laptops I’ve had the good fortune to test out. In fact, it could hold its own with many gaming desktops, and that’s not something I thought I’d ever be saying." "It’s a fairly future-proofed notebook that does triple-duty as a portable gaming machine, a desktop replacement, and an everyday laptop. Because of its versatility, it’s a highly recommended choice for gamers on the go." ORIGIN PC Launches the NVIDIA GeForce GTX 660 Ti! Buy Your Next ORIGIN PC Today! "What Origin brings us for review today may be one of the best balanced and most impressive LAN boxes we've ever seen."